CNN first reported  that Cohen claimed to have been in the room when Donald Trump Jr. informed his father of his plans to meet with a Russian lawyer who, Trump Jr was told by an intermediary, would provide dirt on then-candidate Hillary Clinton as "part of Russia and its government's support for Mr. Trump." It has since been reported  that the Russian lawyer has close ties to top Russian officials. Cohen also reportedly said he is willing to give his version of the events to special counsel Robert Mueller, who is investigating collusion between the Trump campaign and Russian officials during the 2016 presidential election. Previously, both the president and Trump Jr. denied that the then-candidate knew of the meeting. Trump Jr. testified to Senate investigators that he couldn’t recall whom he had told. Whether or not Trump knew of the meeting beforehand has been a central question in the investigation. The day after the story broke, Fox & Friends initially mentioned  it only once during a headlines segment. 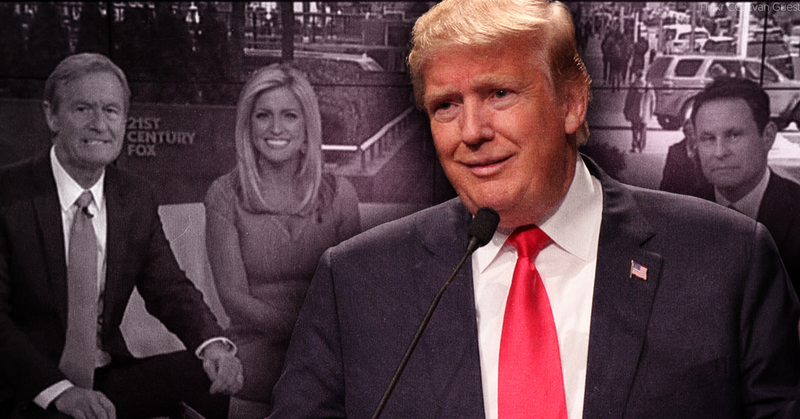 Only in the third hour of the show, after Trump denied Cohen’s account via Twitter, did Fox & Friends cover the story in more depth -- but with a characteristically pro-Trump slant. After replaying the same headlines segment from earlier, co-host Brian Kilmeade interviewed Fox contributor Geraldo Rivera about the matter. During the interview, Kilmeade questioned  Cohen’s credibility and peddled a theory that “it was the Trump team that released the information” in a clear effort to save face for Trump. Rivera joined Kilmeade, commenting on Cohen’s “sleaziness” in an effort to discredit his account.